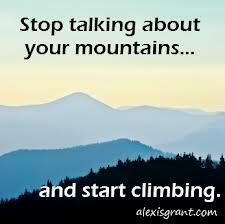 Define your Mountain - Is it a physical or metaphoric mountain? 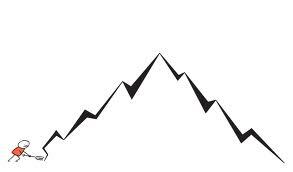 Define your Mountain – is it a Physical or Metaphoric Mountain? To reach any mountain top, one must climb. This post is not about a literal mountain climb, we all know that a physical mountain is of course possible to climb, and the reward for any mountain climb is the magnificent view from the top. The view from the top is breathtaking and spectacular. A person who achieves their mountain top can feel overwhelmed, excited to have achieved their goal, and may feel both encouraged and motivated to achieve other life goals along their journey. Thousands of people climb physical mountains, but we all climb metaphoric mountains in one way or another. There is a similarity between a metaphoric journey and a physical mountain – they both require effort to reach the summit. The metaphoric mountain, could also be considered a spiritual journey, or a goal orientated journey, whether it be personal or professional…but the similarity between them all is that they all involve effort to reach the goal. A metaphoric climb up a mountain to reach the finish line, or to reach the summit still requires physical energy, time and focus – and sometimes a financial investment. Anyone who wants to reach the top must invest in themselves, and I know as a mum – I’m usually the last one in our family who invests time in myself. Whats the old saying – ‘the one making the most noise usually gets dealt with first?’ I’m thinking that 2014 may be the year that I speak up and start making more noise as I really feel that I need more time for myself – specifically if I want to actually achieve some of my own personal goals. 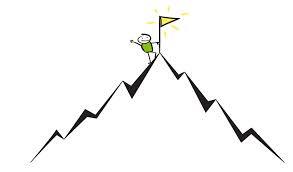 I am looking forward to seeing my life from the summit after I have climbed my own metaphoric mountain, of course! We have a couple of metaphoric mountains in our life. One of the mountains we have in our family’s life is called ‘Health Issues’. Amy has a medical issue called CRMO (Chronic Recurring Multifocal Osteomylitis). Basically she has legions in the bones in her feet and her knee, and now possibly her hip. I must say that I am quite concerned as she has started having pain in her hip. As a mum, I feel quite frustrated, as we were a few months out from our two year anniversary from diagnosis, and up until now she hasn’t had any issues with the CRMO symptoms. The goal was to reach our 2nd anniversary and be finally free from CRMO. We are a couple of weeks out from Amy’s annual MRI, and I hate to say it, but I just have this feeling that we won’t be finishing up with the metholtrexate medication she has to have each week. I really don’t like that she has to be on such a nasty medication. The second part of our health related mountain is my hypothyroid issues. I was born without a thyroid gland, and this has caused some issues – particularly as I get older. I know I have spoken in a previous blog post about this, but I have been doing a lot of research. While I have to accept my situation as it stands, I personally choose to keep researching my condition. The more I read – the more I realise how complex hypothyroidism is. I feel like I am learning so much, but then when I go to my doctor to talk about what I have read….I get that smirk! The smirk that frustrates a patient. The smirk that says ‘I know better’, or the smirk that says ‘here we go again, another internet educated doctor!’, and The smirk that says ‘you have no idea of what you are talking about!’ I am a true believer in arming myself with knowledge. I want to be on an informed playing field when speaking to my doctor about my issues. My health is my business, and I believe that while we are a doctors client – and we need to be open to their professional opinion, I think we need to be free to speak to them frankly, but also from an educated position. A good doctor should welcome a client who is interested in their health. A good general practitioner should also be open to learning more, especially from the world of alternative medicine. One of my issues is my difficulty in losing weight, and if you know me, you know I have really struggled with this for awhile, and while I have been working on it, I unfortunately care probably more than what I should about how others see me – I do struggle with my shape. I try and laugh comments off, or make a joke or two at my own expense, but the truth is that this is very difficult to do at times. Unfortunately, my thyroid (lack of thyroid) combined with 5 pregnancies and 4 c-sections have played havoc with my shape, and my feelings often take a battering when I am frequently asked ‘when am I due’, or ‘I see your pregnant again!’. I am asked this on a regular basis, and I have even joked with hubby that I should get some t-shirts made up with the words, ‘NOT PREGNANT’. Shopping for clothes can be a nightmare, as shirts are either short waisted or they are longer in length – but tight around the middle. I have walked out of many stores feeling overwhelmed and frustrated. I realise that surgery to fix my tummy is pretty much the only way its ever going to look okay again. Some readers will suggest the idea of exercise and effort, and I hear you. The issue is that i have lost considerable weight in the past – but never off my tummy! The surgery idea for me is not about making my tummy pretty – its about giving me back some proportion to my shape, and of course the benefits to this obviously will be that I’ll be able to wear clothes, I actually like and love. Sure there are clothes for the bigger woman, but I don’t want to be ‘the bigger woman’. I just want to be, and feel in proportion, I want my youth back, and I want people to stop assuming that I am pregnant. I am happily done having children!!! While I understand why I need to lose a few kilograms to have the surgery I need to lose a few kilograms so that my BMI will be in the right range. This sounds easy, but when you don’t have a thyroid – its extremely difficult! I often joke that I only have to look at a piece of chocolate – I put on kilos. I don’t even have to eat it. It’s extremely frustrating, and it seems that the thyroid issues only get worse as I get older. Don’t despair, as I have to tell you that I actually feel quite hopeful. Thank God we have the internet as I have found so many new resources, and since I read the book ‘Wheat Belly’, I have been learning and changing the way I look at food, specifically in the way food has been grown, or produced. The information I have found via social media has been just brilliant. I have felt like an investigator as one lead flows into the next, and I have been quite inspired by a woman in the States who has a page on Facebook called ‘Hypothyroid mom’. Information is power, and considering 80% of weight loss is what happens in the kitchen, then continuing to arm myself with knowledge is good and useful. It’s another step up the mountain. I will admit that I am disappointed in my progress this year with regard to my weight loss journey (I haven’t been slacking off), however, I know that I am far more informed than what I was a year ago. I need to take some massive action now and get on with it. I have a number of new and fresh steps in place, which I feel quite hopeful about. I know I have learned so much this year about nutrition and also my issues regarding the hypothryroidism. 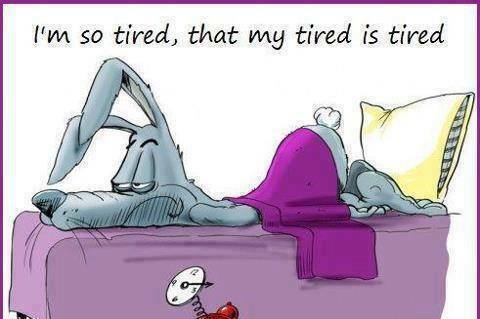 I know many would say that four children and a household to run is tiring, but when you have issues with your thyroid (underactive), you can feel as though your day resembles pushing an elephant up a hill (Intense tiredness). I feel that through my research I may be able to change my medication over to a natural product that can be found at a compound chemist. I am looking forward to checking into this further. When you start to climb your mountain, whether it be a physical or metaphoric mountain, you are going to be faced with challenges and while I don’t know all the challenges that will be presented to me along the way, I need to keep my footing and continue on my journey. I know I will reach the top at some point – I need to keep going for me, but also my husband and my children. What I know to be true is this. I am at a much different place than where I was at at the end of 2012, and I know that come this time next year – I will be in a far different place than where I am at now. This to me is exciting. This to me resembles my journey up my metaphoric mountain.When your climbing a mountain, ‘Onwards and upwards’ seems a rather appropriate ending – don’t you think? congenital hypothyroidism, difficulties in life, dpchallenge, growth in 2014, how to climb a metaphoric mountain, how to climb a mountain, Huge goals are like metaphoric mountains, hypothyroidism, metaphoric mountains, mountain climbing - the metaphoric way, mountain climbing challenges, plans for 2014, postaday, Spiritual journey, tired, weightloss, what are your life goals?, whats your goal for 2014? ← How to Have a Merry Christmas – Keep it Simple!! !